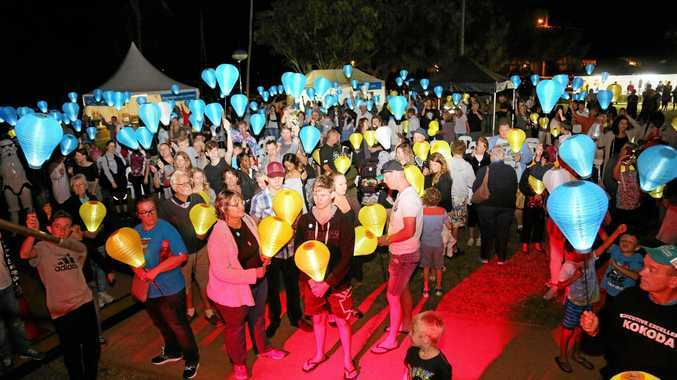 THE foreshore of Bargara will be lit in blue, white and yellow tonight as the community rallies together to support those affected by leukaemia. The Leukaemia Foundation would like to invite Bundaberg region residents to join local Light the Night walks in support of families who've felt the devastating impact of blood cancer. Today another 35 people will be told they have blood cancer nationally and by taking part in the annual event you can buy the light that shines to help those affected in their darkest hour. The unique fundraising walk is in its tenth year and isn't showing any signs of slowing down, with a second location at Woodgate Beach now on board to support the cause. The Woodgate walk will be held on October 14. The event is held to help remember and reflect on lives of all who have fought a tough battle of blood cancer. Those attending either Bundaberg Light the Night events will gather for a small ceremony before setting off on a picturesque lantern walk. Bundaberg Leukaemia Foundation fundraising officer Sue-Ellen Pitt said the events aimed to raise over $20,000 to help provide the support and services local families need to beat their blood cancer. "Attending a Light the Night event is a wonderful way to show those in our community facing blood cancer that, even in their darkest hour, they're not alone," Ms Pitt said. "Every one of us who raises money and carries a lantern will help light the way for them." Those attending hold gold lanterns to remember loved ones lost to blood cancer and white lanterns if they've been diagnosed themselves. While the blue lanterns are proudly raised in support by friends, family, workmates and the wider community. Join the walk at Neilson Park, Fred Courtice Ave, Bargara from 5.30pm. 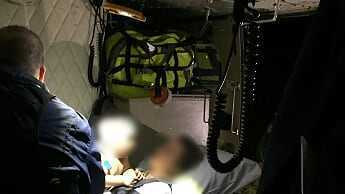 For those who would like more information or to make a donation can go to www.lightthenight.org.au or call 1800 500 088.